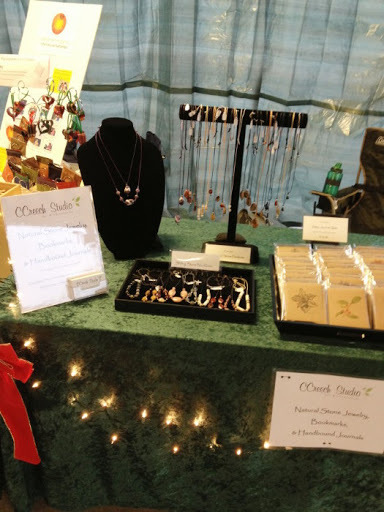 I had a chance to have a booth at a local holiday market this past Friday, December 7. 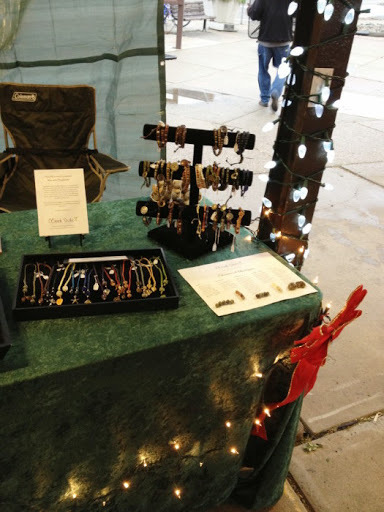 I was all set up at the Kerrytown Market & Shops here in Ann Arbor along with a number of other artisans and vendors to help celebrate Festive Fridays during this holiday season at the 1st annual Holiday Greens & Gift Market. It was a cold and rainy evening, so crowds were not as busy as we’d hoped, but there were still a number of folks who came out to enjoy shopping, s’mores, caroling, riding the Jollie Train and seeing Santa! 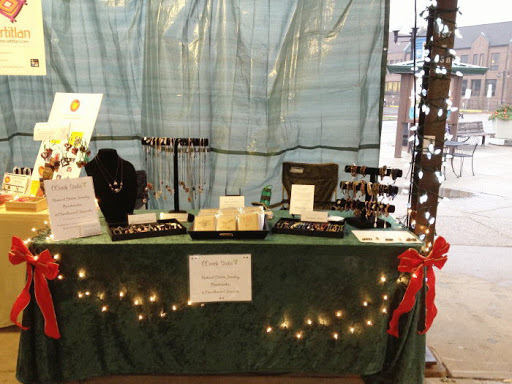 A shot of my whole booth – fortunately, my friend Claudia of Artitlan (on the left) brought a tarp that hung behind both of our spaces and kept us fairly warm and dry! 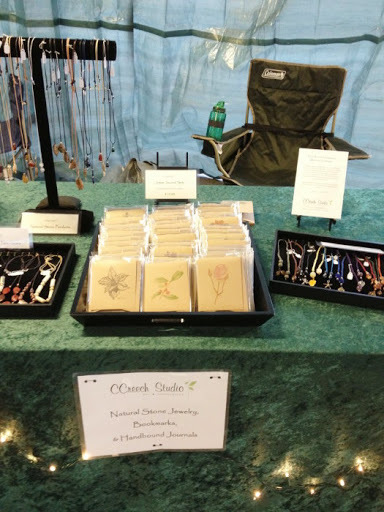 My jotter journal sets in the middle, natural stone pendants in the back (with sliding stone necklaces in front of them) and bookmarks on the right. 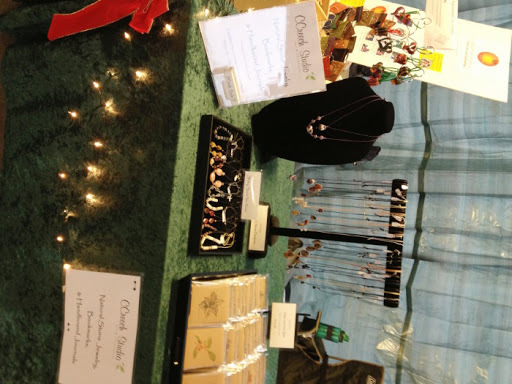 A peek at the left side of the table with my necklace display. And my bookmarks and bracelets along with my ‘Stones of Michigan’ display card. I look forward to adding some new items to the shop this week. 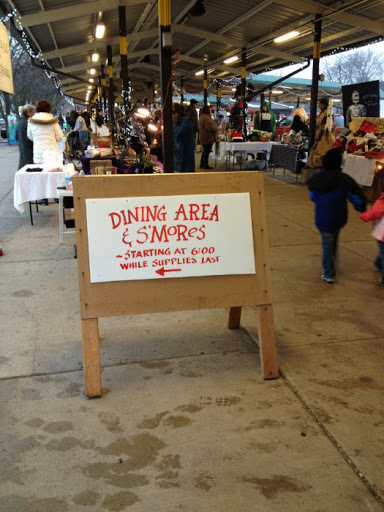 Have you ever had a booth at a holiday (or other) market? What was your experience?